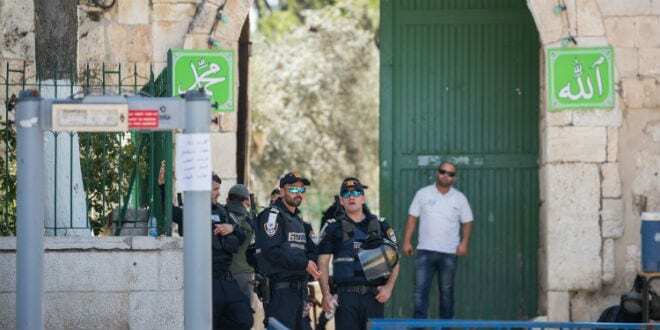 'Apocalyptic' Conflict Raging Over Temple Mount, Al Aqsa - Breaking Israel News | Latest News. Biblical Perspective. The Israeli government reopened the Temple Mount complex to Muslims and members of other faiths Sunday with strict new security measures, in the wake of last Friday’s attack near the flashpoint holy site, in which Arab terrorists killed two Israeli Druze police officers. Israeli defense experts who specialize in understanding radical Islamic culture stress that such attacks are likely to occur again. “For many years, there has been the motivation to create an apocalypse between Islam and Judaism on the basis of the Al-Aqsa mosque (the name of the mosque on the Temple Mount plaza). Sheikh Raed Salah (the head of the Northern Branch of the Islamic Movement in Israel) is very bold in using this argument day and night,” Reuven Berko, a former colonel in the Israel Police and former adviser on Arab affairs for the Jerusalem Police Department, told JNS.org. Islamic leaders have called on Muslims “to reject and boycott all the Israeli aggression measures,” claiming the changes violate a long-held status quo between the Islamic Waqf, which administers the site itself, and Israel, which controls access to the Temple Mount. Unholy act at a holy site? “Radical Muslims do not give a damn about the fact that a site is holy—even to themselves. They have a long track record of using holy sites of all faiths as arenas to promote their radical agenda, across the Middle East,” Berko said. Berko suggested that future incidents on the Temple Mount are likely due to ongoing “incitement and the circumstances which support and encourage using weapons, killing innocent people and creating chaos.” He noted that the terrorists, who came from the Israeli Arab town of Umm al-Fahm, were incited by radicals like Salah, who are affiliated with Hamas and were “raised on the same petri dish” as the global movement of Islamic State and other Muslim terror groups. There have been numerous cases of weapons stockpiling on the Temple Mount in recent years, with multiple incidents of stone-throwing and firebombing. Last Friday’s attack was the first major incident in recent years involving automatic weapons. 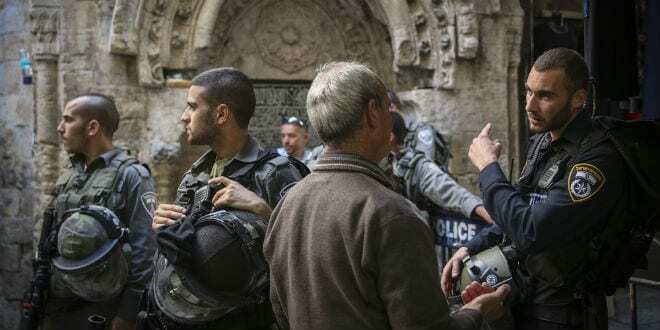 “Many times within the Al-Aqsa mosque, we discovered several hiding places, stockpiled with means to kill,” Berko said, referring to his time with the Israel Police. According to Dr. Mordechai Kedar—a researcher at Bar-Ilan University’s Begin-Sadat Center for Strategic Studies and a leading scholar on Arab culture, who served for 25 years within the IDF’s military intelligence units—the Temple Mount has long been a source of radical Islamic incitement against Israel and the U.S.
“There are hundreds of recordings of sermons from the Temple Mount, replete with violence, replete with incitement against the Jews, against Israel. 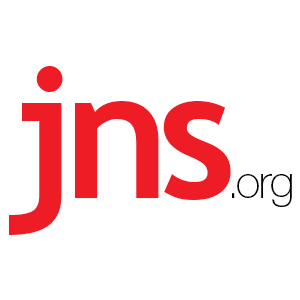 And unfortunately, Israel just lets it go,” Kedar told JNS.org. “Muslims do not want Jews in the land of Israel, especially in Jerusalem, and particularly on the Temple Mount. Islam, as a religion, cannot accept a Jewish state. They view Judaism as a threat on Islam,” said Kedar, adding that while murderous acts are considered unholy to Jews and Westerners, acts of martyrdom can be considered holy in Islamic culture. Understanding Islamic culture and using it to develop sound policies is a key to preventing further violence, according to both Berko and Kedar. For more than a decade, worshipers or tourists wishing to visit the adjacent Western Wall—a site revered by Jews in absence of full permission to enter and pray on the Temple Mount—have been forced to pass through metal detectors, despite the fact that there have been no recently recorded incidents of Jews seeking to commit acts of terror at the site. Now these same measures are being installed on the Temple Mount, where tens of thousands of Arabs can gather to pray on Fridays and during the month of Ramadan. Berko noted that recommendations for stricter security measures at the Temple Mount were presented in 2014, “but they were not implemented.” He stressed the sensitivities Israel must contend with when dealing with Jordan, which controls the Islamic Waqf; the Palestinians, many of whom are employed by the Waqf; and Muslims who pray on the site. In addition to the new metal detectors, Berko said Israel must strengthen the powers of police around the Temple Mount, improve surveillance, and strengthen coordination between the police and the Shin Bet security agency to gather better intelligence on attacks before they occur.